Humble Pie were introduced to the UK audience as a supergroup with a big hit single, but further down the line they would become album rock and concert favourites in America. ‘Natural Born Bugie,’ a No. 4 hit in their own country in the summer of 1969, proved to be their only hit there, and by the early 1970s they were undeniably bigger across the Atlantic. But on 22 January 1972, they nudged back into the British charts with a very notable live double album that brought them a gold record in the States on 23 February, Performance – Rockin’ The Fillmore. 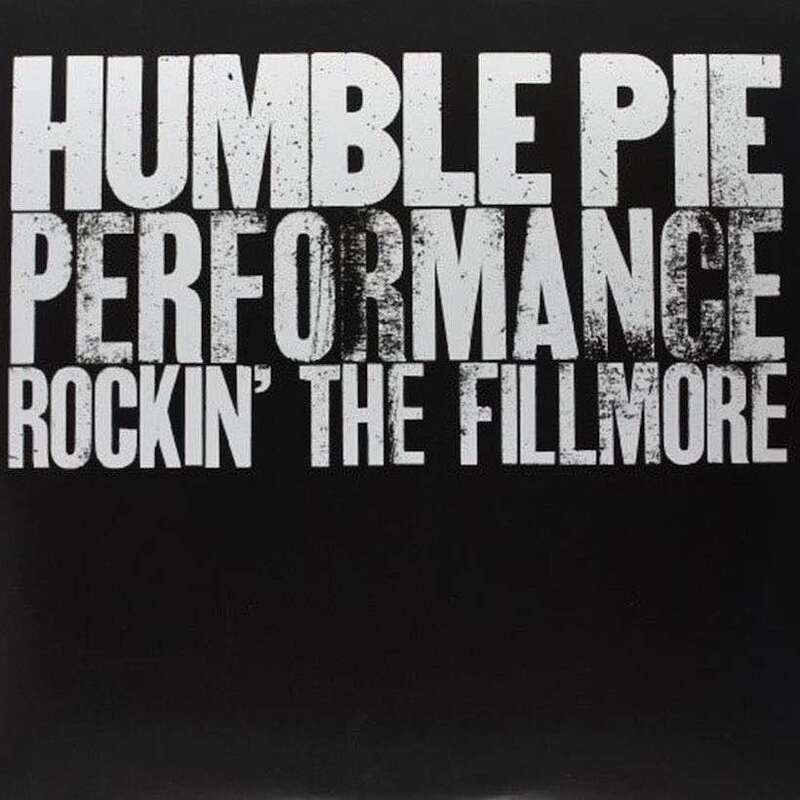 Listen to Performance – Rockin’ The Fillmore right now. “I’ve got a new axe, it’s too much! It’s going to make me rock on, man!” were the words of Steve Marriott as the band took the stage. The record captures the classic Humble Pie line-up of Marriott, Peter Frampton, Greg Ridley and Jerry Shirley in a vintage rock ‘n’ roll setting, and just in the nick of time, too: by the time it was released, Frampton had left to start his solo career. The band’s shows on 28 and 29 May 1971 were taped for the album at the venue in New York’s East Village neighbourhood, only a month before the Fillmore East closed its doors. The gigs followed their US chart debut that very month with Rock On, which only reached No. 118, but enjoyed a 23-week stay on the album chart, demonstrating the popularity they were earning with American fans. The Fillmore disc featured only seven tracks across its four sides, including epic versions of Dr. John’s ‘I Walk On Gilded Splinters’ (23 minutes) and the Muddy Waters song that had named a certain fellow English band, ‘Rollin’ Stone’ (16 minutes). 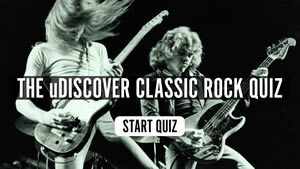 The latter had been on the Rock On album in a relatively modest six-minute version, and the band also included their own ‘Stone Cold Fever’ from that LP in the Fillmore set. The live LP also included such covers as Ray Charles’ ‘Hallelujah I Love Her So’ and the Ashford & Simpson soul song ‘I Don’t Need No Doctor,’ which managed an eight-week run on the Hot 100, reaching No. 73. When Rockin’ The Fillmore made its UK chart debut in early 1972, it entered at what turned out to be its No. 32 peak. George Harrison’s Concert For Bangla Desh hit the chart the same week, as T. Rex fever continued, with Electric Warrior at No. 1. Humble Pie’s The A&M Vinyl Box Set 1979-1975 can be bought here. I heard this album for the first time listening to Radio Luxemburg on my transister radio under the bed covers as a 14 year old. Listening to “I Don’t Need No Doctor” was literally a life changing moment and the catalyst for my life in music, 44 years later I’m still lovin’ every minute of it! 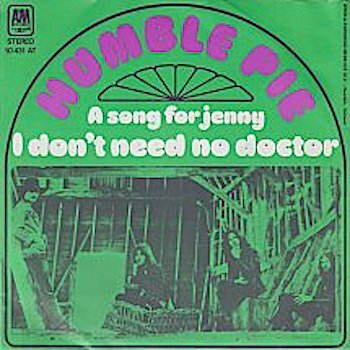 Thanks Humble Pie and thanks Stevie, the epitome of Rock & Roll. 4 set CD Box Together with The Who live at Leeds I regard Rockin the Fillmoet as one of the ever best Live Albums certainly to be ranked in the top 10 Best Live Performances ever ACDC is not bad are n’t they? Peter, Steve Greg and Jerry really have put a amazing effort back in 1971/72. Steve died so tragically in the beginning of the Ninethies when his House burnt down. I was there May 28, 1971 for the early show. It changed my life. Best live album ever recorded. Got to see Humble Pie (post Frampton) in Hollywood, FL. One of the best shows I have ever seen and this album is easily my favorite live album. Brilliant from end to end. One of the best albums period. One of the greatest live albums ever , showcases what a legend like Steve Marriott was like in his day. Marriott & Frampton could of done so mush more to hear Marriotts Dwight Guitar sound so dirty and sweet with Framtons melodic leads, don’t get better then this. 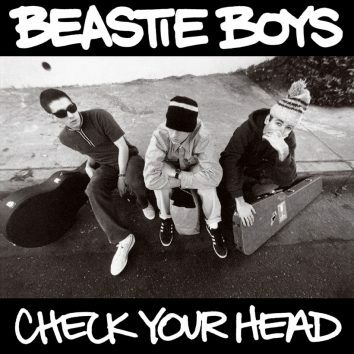 Still remember the day I bought this album at Spec’s Music in Hialeah, Florida. The clerk that was ringing me up said “Oh, youj’re gonna like this one! !”, and I sure did. The guitar call and response between Frampton and Marriott still sends shivers down my spine. One of the best live albums ever recorded. Never got the recognition they deserved… even now. They were fantastic ! Steve narriot best lead singer EVER!!! Simply one of the purest greatest live albums ever recorded. This band at its peak destroyed stages nothing better.Marroitt and Frampton were magic.